Six record books of the bills paid by Charles Darwin during his time as a student at Christ’s College, Cambridge, were published online, yesterday, at The Complete Work Of Charles Darwin Online. The bills were recently discovered by the Honorary Keeper of the Archives and Fellow Commoner, Professor Geoffrey Thorndike Martin, and provide a unique insight into Darwin’s expenditure as a student, from 1828 to 1831, filling in previous gaps in knowledge about this period of his life. The record books state, for example, the exact date of Darwin’s arrival at the university on January 26th, 1828, as well as the date of his enrollment at Christ’s College on October 15th, 1827. At the time, students did not pay for many things in cash. Instead, they paid local tradesmen by account and the individual bills were then reported to the college, which charged the students on a quarterly basis. Over the course of the three years, Darwin’s bills amounted to £636.0.9½ (six hundred and thirty-six pounds, zero shillings and 91/2 pence). In addition, he spent £14 on his BA degree in 1831 and a further £12, in 1836, to collect his MA following his return from his Beagle voyage. Darwin allegedly spent very little of his time at Cambridge studying, instead preferring to shoot, ride, collect insects and socialise and his bills reveal very scarce expenditure on books. He paid extra, however, in order to be served vegetables with his meals and also employed a bed-maker, shoe-polisher and someone to bring in the coal for his fire! The books also include Darwin’s accounts for the barber, grocer, tailor, chimney-sweep, apothecary, porter, and laundress, for example. 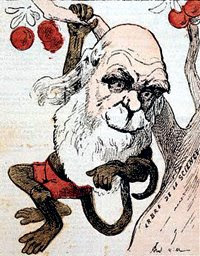 Darwin allegedly later recalled his student years as ‘the most joyful of my happy life’. I don’t know If I said it already, but this so good stuff keep up the good work. I read a lot of blogs on a daily basis and for the most part Belajar blogging just wanted to make a quick comment to say I’m glad I found your blog. Thanks.